SOLIDWORKS has once again listened to the users and added more functionality to improve productivity! This new nice little addition comes in the area of the sweep command. Previously to complete a sweep from existing geometry, a sketch was required for the sweep profile. This would require to start a sketch and convert edges or faces to complete the profile. Well now no more! 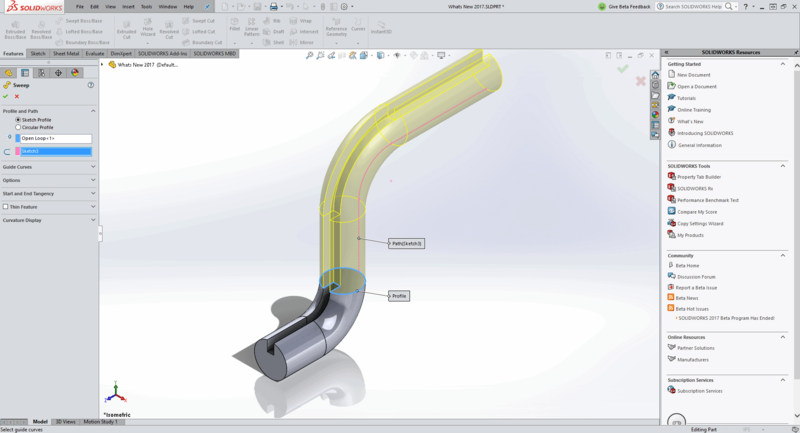 Now a Face, Edge or Curve can be selected for a terrific timesaver. Selection of a face for the sweep profile. Selection of an Edge for the sweep profile.